On May 11, the U.S. Senate passed the international corporate tax bill, which would repeal the 30 percent alien withholding tax that currently precludes the export of American racing to most foreign nations. Elimination of the alien withholding tax is an important step toward opening the $85 billion foreign market for pari-mutuel wagering to simulcasts of U.S. races. This legislation, commonly referred to as the FSC (pronounced FISK) bill, is designed to eliminate a select group of tax breaks enjoyed by exporters of certain manufactured goods. Those breaks were identified by the World Trade Organization (WTO) as illegal trade subsidies and, since March 1, the European Union has hit a large variety of U.S. goods, including horses and other agricultural commodities, with retaliatory tariffs. The FSC bill also includes language to reduce the capital gains holding period for horses. Under current tax law, horses held for racing, breeding or sporting purposes qualify for a 15 percent capital-gains rate if they are held for 24 months. If passed, this amendment would result in a reduction in the capital gains holding period for horses from 24 months to 12 months. This legislation would provide substantial tax relief to individual (as opposed to corporate) owners, particularly those in the highest individual tax bracket (35 percent). With Senate passage of the FSC bill, attention now turns to the House. Passage of the bill will be tougher in the House as a number of GOP members from manufacturing districts have expressed strong concerns over key elements of the Senate-passed bill. However, the Senate passed the bill by a vote of 92 to 5 and this overwhelming passage has provided much-needed momentum to the House effort. Progress on these and other legislative reforms to aid Thoroughbred racing and breeding is made possible by industry support for the NTRA Legislative Action Campaign, a voluntary contribution at public auction that represents a tax-deductible investment in the future of the Thoroughbred industry. Contributions to the Legislative Action Campaign support lobbying, the American Horse Council, educational programs for Members of Congress and an updated economic impact study of the horse industry – a valuable tool for state and federal legislative advocacy on behalf of our industry. 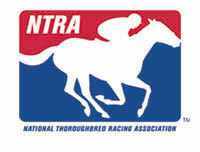 For more information contact Joe Clabes, NTRA director of industry relations, at (859) 621-5404 or e-mail jclabes@ntra.com.